As part of its commitment to supporting students on their year abroad, Modern Languages & Cultures organises a series of pastoral visits across Europe. These visits, funded by the European Union through their Organisation of Mobility grant, allow members of staff from the department to travel to our partner institutions across the EU to see students on study placements, to meet with those responsible for student exchanges, and to encourage students to come to Liverpool to study for a semester or two. 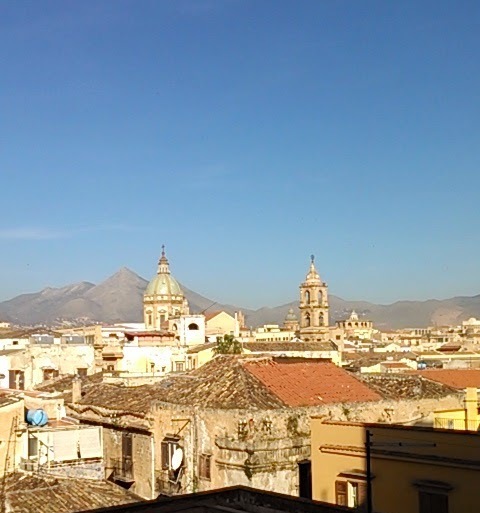 Earlier this month, Dr Rosalba Biasini travelled to two partner universities in southern Italy. Her first stop was the University of Bari, situated on the Adriatic. Bari is an ancient city, famed not only for its mediaeval old city, but also for its basilica which is the final resting place for the relics of St Nicholas. Dr Biasini met Liverpool students studying in Bari who had recently enjoyed their first swim of the year in the sea. 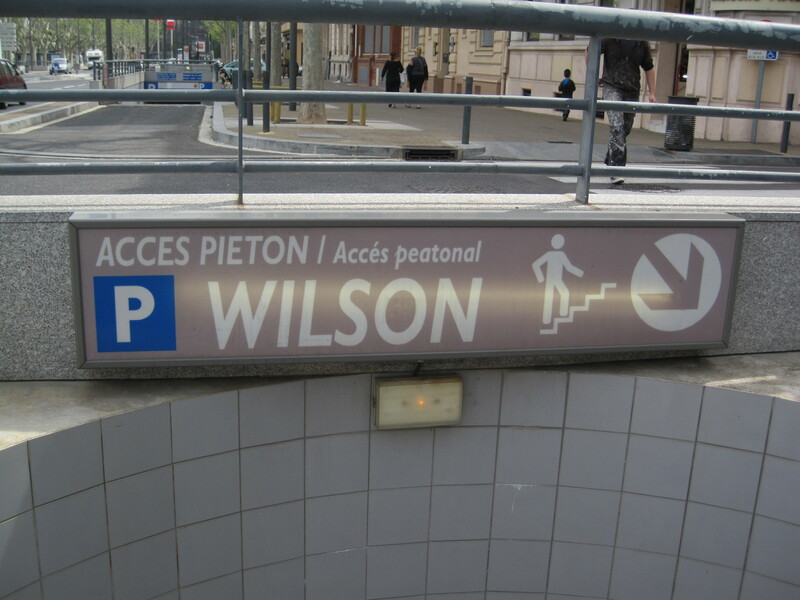 The students describe the city as welcoming and relaxed. 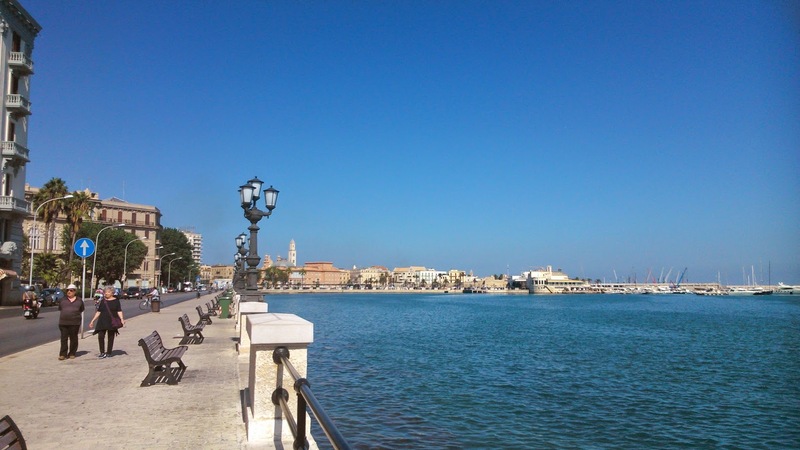 From Bari, Dr Biasini flew on to Palermo, on Sicily, to see students at the University of Palermo, as well as a Liverpool student on an Erasmus study placement in Padua, but visiting the island. Palermo’s overall splendour stems from its long cultural history, and the city boasts architectural styles that range from Byzantine, Gothic, and Romanesque to Baroque, Neoclassical, and Rationalist. Arab-Norman Palermo is a UNESCO World Heritage Site and Frederik II is buried in its Cathedral. Students in both cities reported to Dr Biasini that they are very happy in their temporary new home cities, and are making the most of what Italy has to offer – not least in terms of its vast range of culinary opportunities. They are also adapting to new ways of living and studying. In particular, Liverpool students have been struck by the emphasis on independent learning and self-discipline. 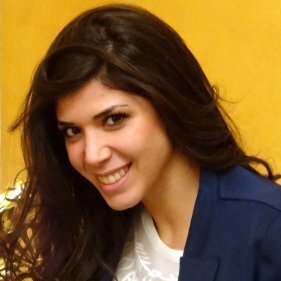 Zaira Di Vella has temporarily joined the Italian subject area in the Department of Modern Languages & Cultures on the European Union’s programme for education, training, youth and sport. She is spending several months as an Honorary Fellow in Italian, shadowing colleagues in the department and contributing to teaching for first- and second-year students. Zaira, who is currently reading for a MA in International Co-operation at Bari University in Italy, is also helping to organise extra-curricular activities and events within the Italian subject area at Liverpool. She has already worked as an Italian teacher in Spain, and was awarded the mobility grant to improve her English, gain work experience in a British university, and teach conversational Italian – to this end, she is keen to meet with staff and students interested in improving their spoken Italian. Zaira is particularly well placed to help prepare undergraduates about to embark on a semester at Bari University, where she graduated with a degree in modern languages and tourism. Bari, in Puglia – the part of southern Italy occasionally described as the heel of the Italian boot – is famous for its dramatic coastline and regional cuisine. The Erasmus+ scheme which has brought Zaira to Liverpool enables academics and staff in professional services to develop their skills in universities around Europe – through job shadowing, teaching and training activities. Modern Languages & Cultures colleagues who have already participated on the scheme include Professor Eve Rosenhaft and Professor Kate Marsh (who both went to Paris VII), Ms Ana Almeida (who spent a week at the University of Vigo, in Spain), and Dr Şizen Yiacoup (who travelled to the Universidade Nova de Lisboa). The Languages at Liverpool blog will take a short break over the Easter weekend. Despite reported changes in religious practices across Western Europe, Holy Week and Easter remain a culturally significant time in the Mediterranean, where several colleagues from Modern Languages and Cultures undertake their research. 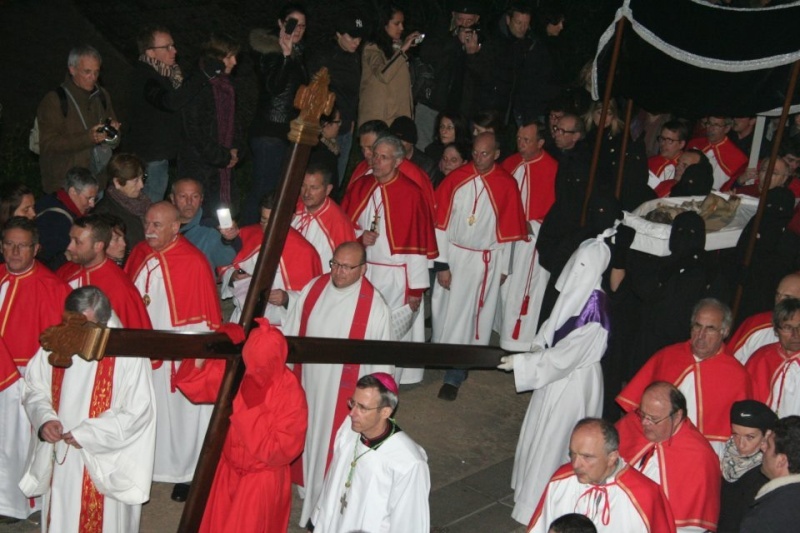 On Corsica, Good Friday is the focus of Holy Week commemorations, especially in the town of Sartène, southern Corsica, which is where Dr Robert Blackwood spent his year abroad as an undergraduate. Crowds are drawn from across Corsica to Sartène for its famous procession after dusk on Good Friday, U Catenacciu, which means ‘the chained one’. Here, an anonymous ‘penitent’, dressed in a red robe that disguises his face, carries a 37kg oak crucifix through the streets of the town, re-enacting Christ’s journey to his crucifixion. In Italy there is a rich variety of celebrations and events Holy Week, and as Dr Stefania Tufi, an Italian from Rome, highlights, commemorations in Italy’s capital are marked by the presence of the Pope himself. Rome’s main procession on Good Friday takes place in a setting which dates back to imperial Rome and along an itinerary which starts near the Colosseum and ends at the Temple of Venus, the largest pagan temple in ancient Rome. This tradition was introduced in 1750 in order to remember the early Christians who were martyred in the amphitheatre, but it also reminds us of the numerous intersections between manifestations of current religiosity and pagan rites which are deep-rooted and resurface in the most unexpected forms. One example of this is the traditional Easter breakfast in Rome, which includes boiled eggs, Roman salami, offal, artichokes, hot chocolate, and Easter cake. 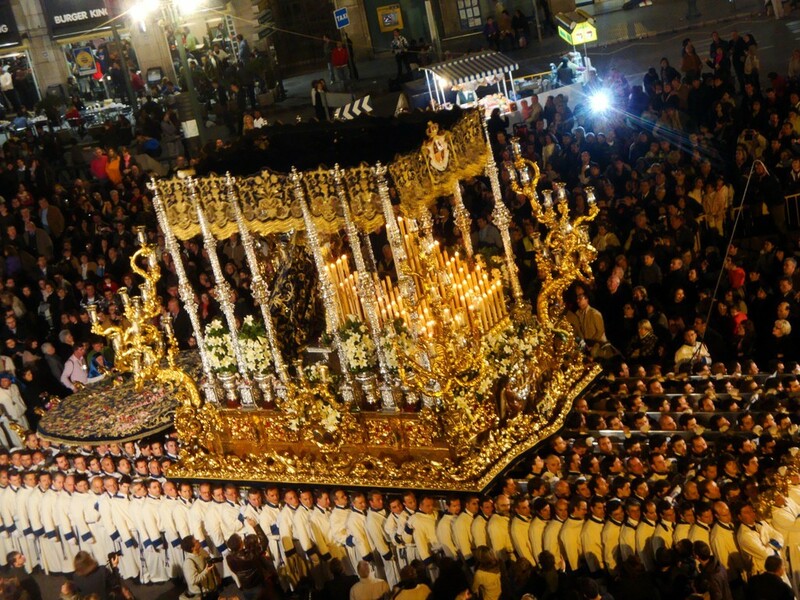 Some of the Mediterranean’s most spectacular Holy Week processions take place in Andalucía. Ms Marina Rabadan, from the Department’s Iberian & Latin American Studies subject area, notes that the semana santa celebrations are deeply rooted in the Spanish Catholic tradition, and date back to the fifteenth century. The processions portray scenes of the Passion of Jesus Christ, and use iconography drawn from Spanish renaissance and baroque art. In Sevilla, cohorts of up to 2800 penitents, wearing their typical conical hats, parade the streets of the city, following the pasos (floats). Each paso weighs between 1500 and 2000kg and they are carried from underneath by 30 to 60 men called costaleros. In Málaga the tronos (thrones) weigh between 2500 and 4000kg and are carried by up to 250 hombres de trono each. Publishers Peter Lang have produced a new monograph on Giorgio Scerbanenco, written by Dr Marco Paoli, lecturer in Italian in Modern Languages & Cultures. Scerbanenco is one of Italy’s most prolific twentieth-century writers, but he has rarely attracted the degree of critical attention that has been afforded to his contemporaries, despite his creation of a considerable body of popular literature, including crime fiction (giallo), science fiction (fantascienza) and romantic fiction (romanzi rosa). Dr Paoli, whose interest in the work of Scerbanenco dates back to his graduate studies, is particularly struck by the author’s role in the development of Italian crime fiction. 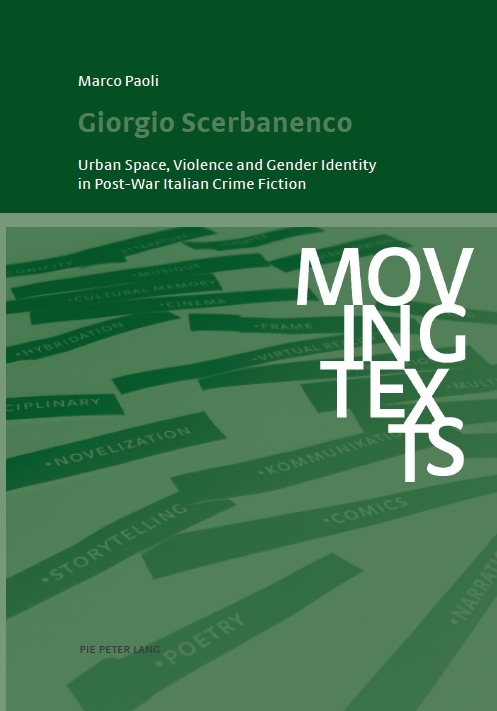 Dr Paoli’s book discusses Giorgio Scerbanenco’s representation of criminal environments in his Duca Lamberti series (1966-69), focusing on three innovative aspects characterising Italian crime fiction in the 1960s: urban space, violence and gender. Dr Paoli focuses on the psychological resonances of Scerbanenco’s novels, especially the author’s controversial narrative styles and ‘moral rebellion’ to contemporary social issues in an attempt to heighten and exaggerate the nature of the criminal acts and the reader’s experience. 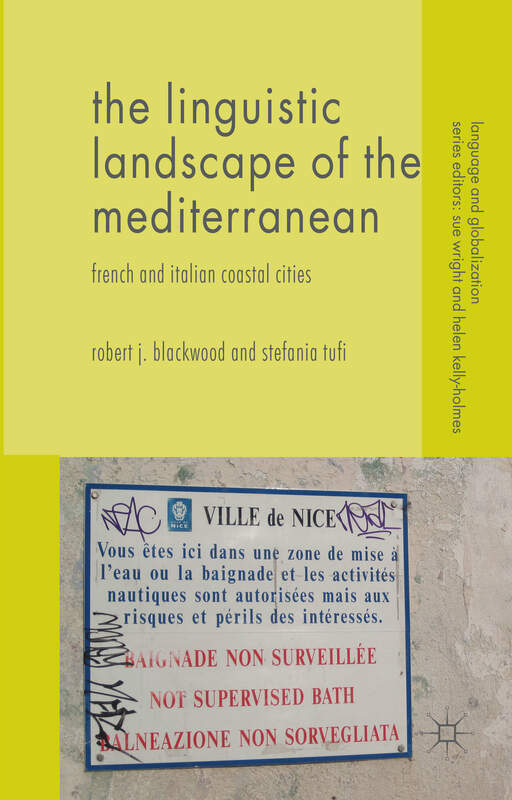 Robert Blackwood (French) and Stefania Tufi (Italian) have just published their book, The Linguistic Landscape of the Mediterranean French and Italian Coastal Cities. 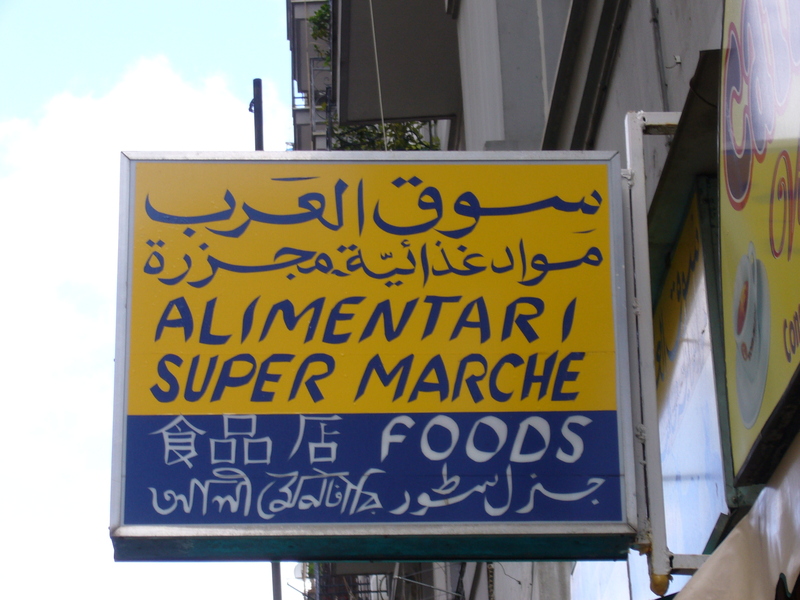 This book explores the Linguistic Landscapes of ten French and Italian Mediterranean coastal cities, analysing the ways in which the public space is managed by different individuals and groups for a range of purposes. Engaging with scholarship on border studies, insularity, peripherality, cosmopolitanism, and social representations, Blackwood and Tufi test the ways in which research beyond sociolinguistics can meaningfully inform Linguistic Landscape studies. The authors privilege four specific perspectives, namely the visibility of national languages, the claiming of space for regional languages and dialects, the creation of transnational spaces for migrant languages, and the role of English in cosmopolitan place-making. Drawing on their own data from along the Mediterranean shoreline, Blackwood and Tufi provide the first in-depth and cross-referenced examination of written language use in the public space in Perpignan, Trieste, Nice, Monaco, Genoa, Palermo, Cagliari, Ajaccio, Marseilles, and Naples. For a link to the publisher’s website, click here.